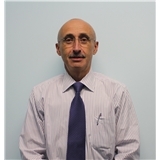 Arkadiy Shusterman (Woodhaven) - Book Appointment Online! Our experienced, compassionate staff is dedicated to helping patients recover in a positive, supportive atmosphere. Following an accident, injury, illness, or surgery, many people are in need of therapy, pain management, and other treatments designed to aid in the recuperation process. We know that an injury is never simple, and recuperation often involves a great deal of time, pain, and frustration. That's why our multi-disciplined team focuses on combining the best that medicine has to offer with a human touch, motivating you to work towards your recovery at a reasonable pace and to push yourself to new levels of success. I don't think I was given enough opportunity to say exactly what I felt was wrong. This was my first appointment however, and I guess I should wait and see what happens when my test results comeback.